Australian pop star, Giulietta, 17, recently debuted her first U.S. single entitled ‘Vertigo’ from off her new album Ascension. The song so far has been receiving good reviews and made its way onto the Billboard Dance Club chart at #44 on last week. 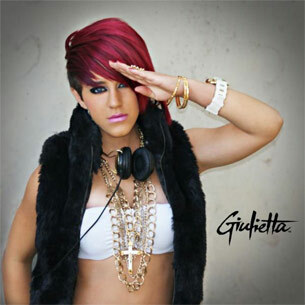 According to multi-Grammy winning producer David Kersehnbaum (Janet Jackson, Tracy Chapman, Bryan Adams) in a statement, singer Giulietta brings a fresh and totally unique style to the dance/pop music scene. The redish haired pop sensation who is already a household name in Australia worked with hitmixers such as mix engineer Rob Orton (Lady Gaga “Just Dance” and “Poker Face”) and Dave Aude (Rhianna, Black Eyed Peas, Lady Gaga, Beyonce, Selena Gomez) to bring some hot productions. In 2009, the teen pop sensation won “International Pop Artist of the Year” at the Los Angeles Music Awards as well as “Producers Choice Award” and the “Hollywood F.A.M.E. Rising Star award,” which tells you to expect more from this rising singer. ‘Vertigo’ is available on iTunes, Amazon and a number of other online stores for purchase.